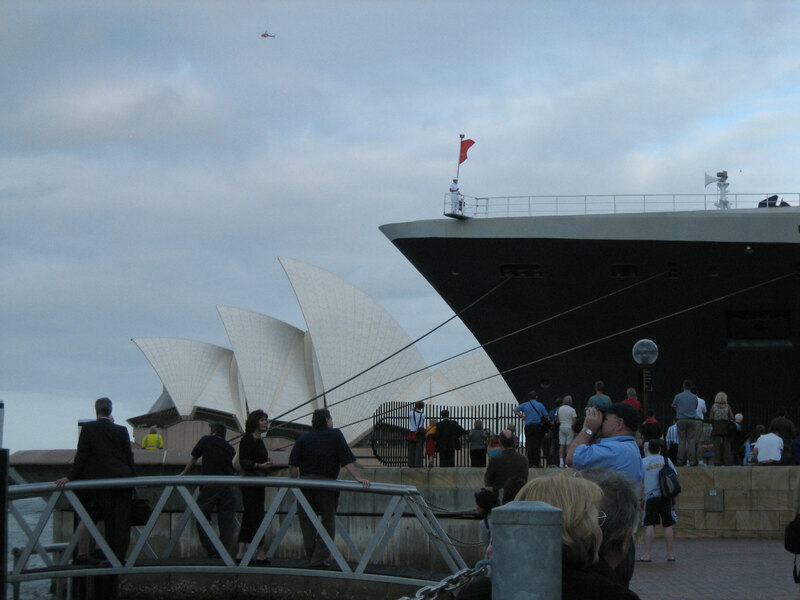 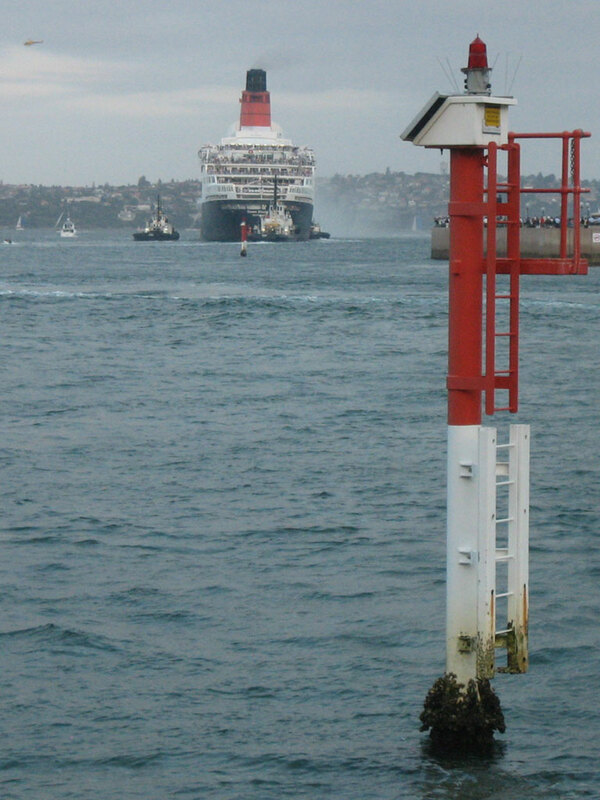 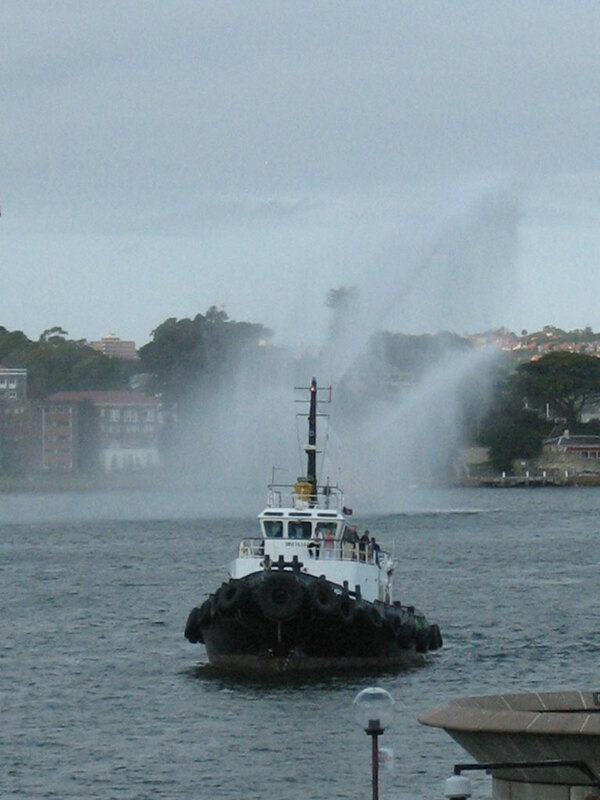 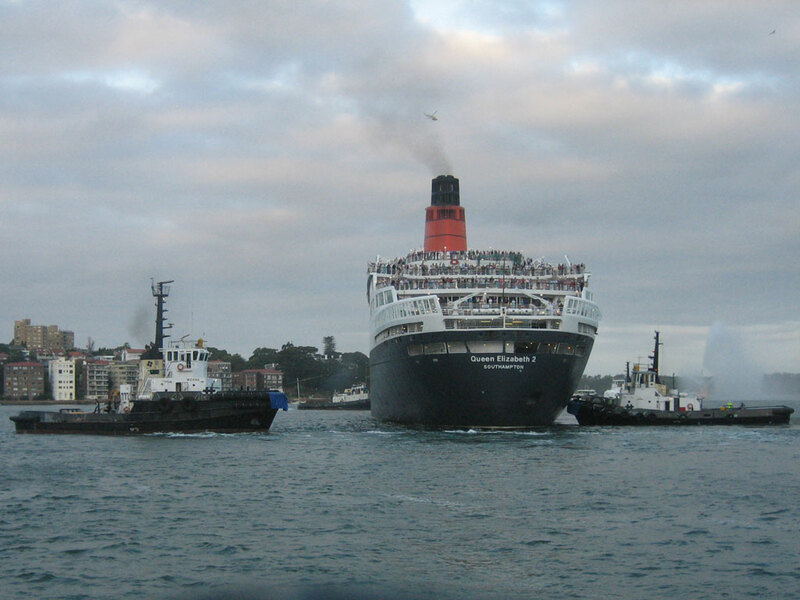 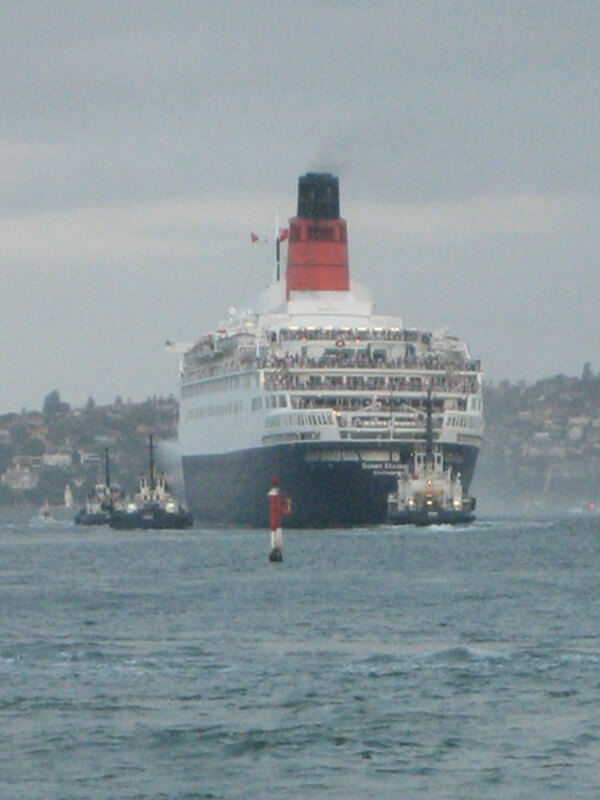 After suffering a flat battery after only a few pictures the year before, this was the last ever chance to photograph this spectacular liner departing Sydney, Australia. 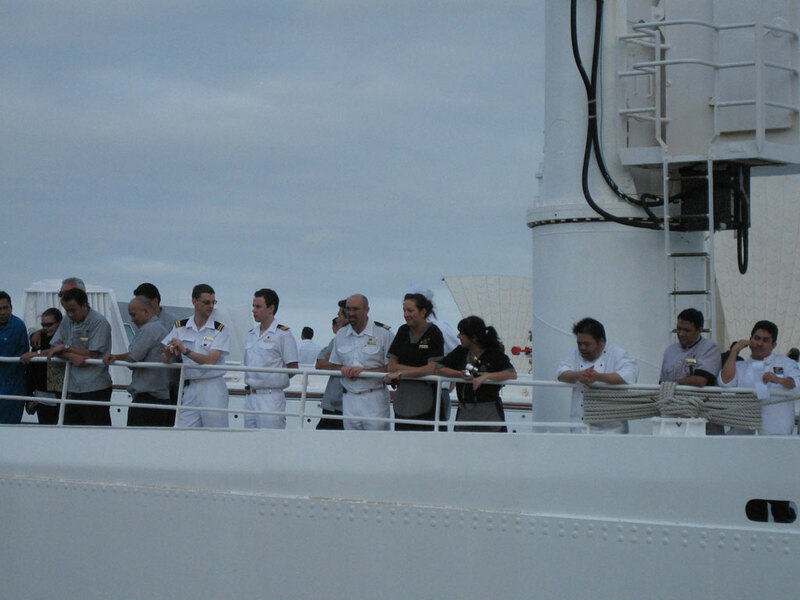 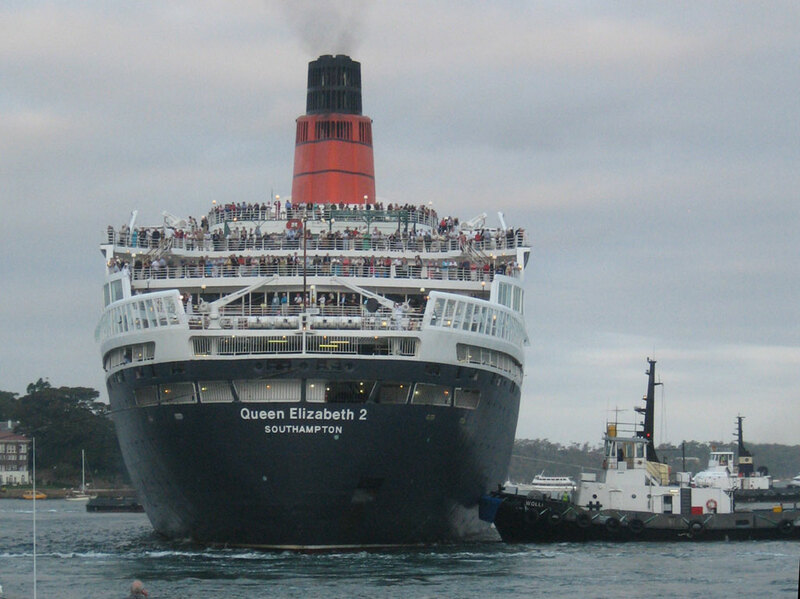 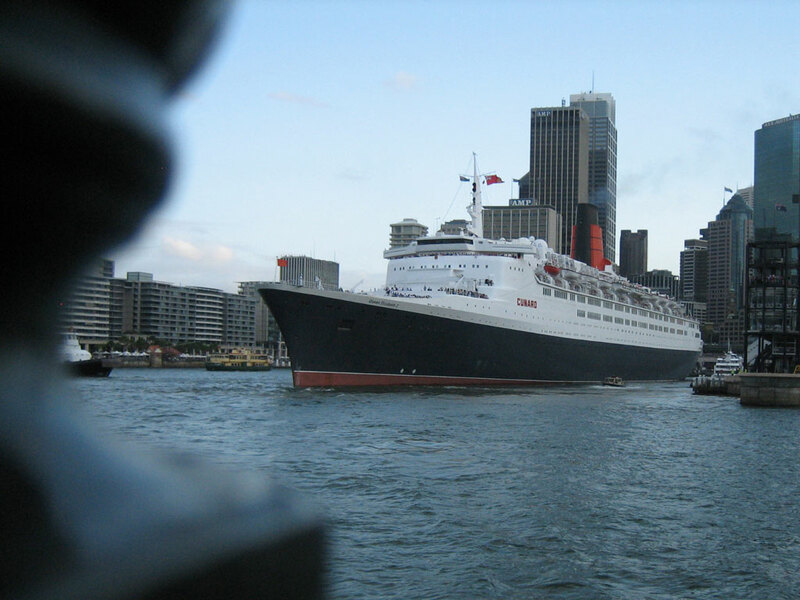 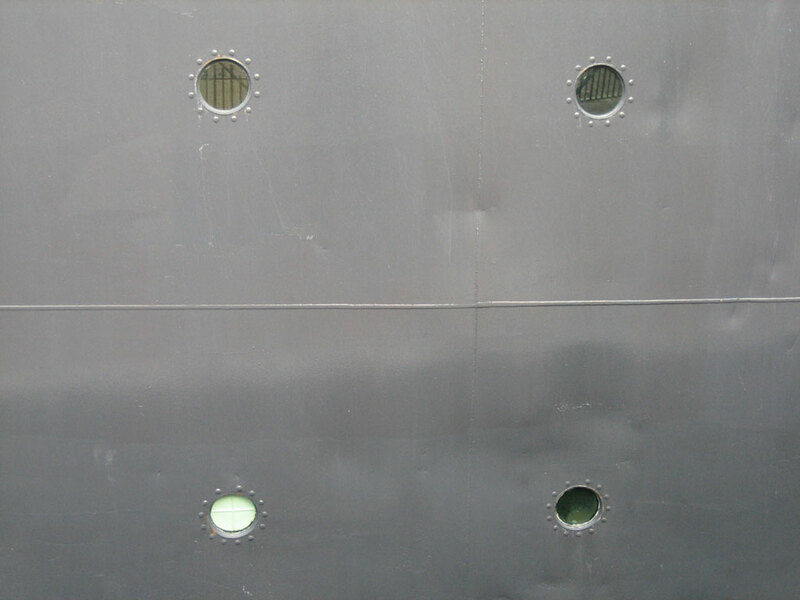 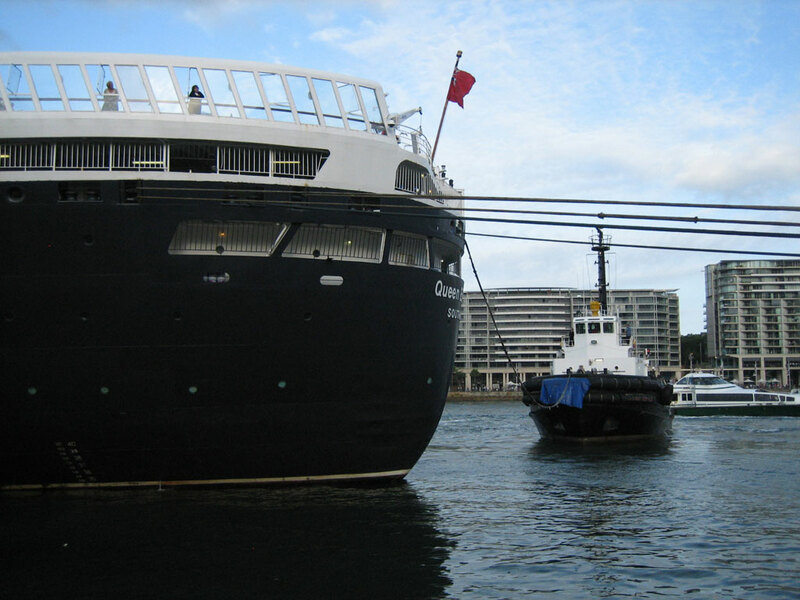 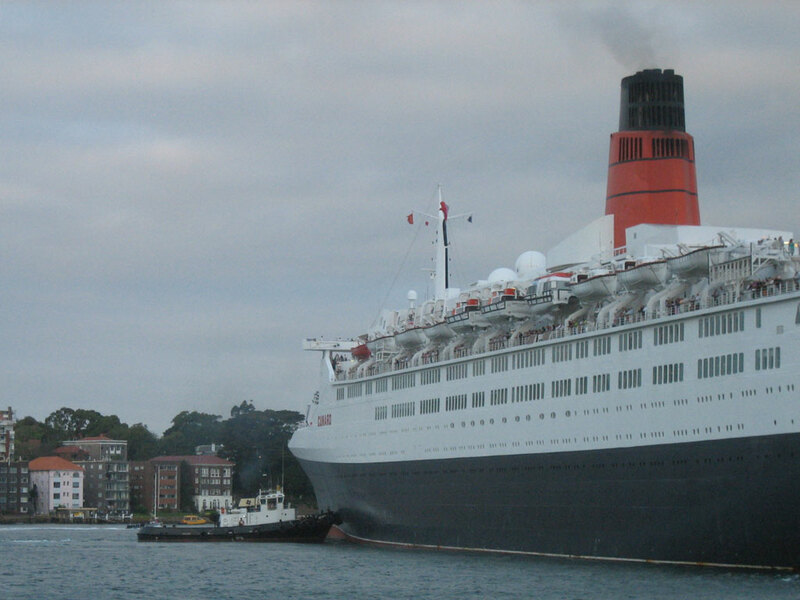 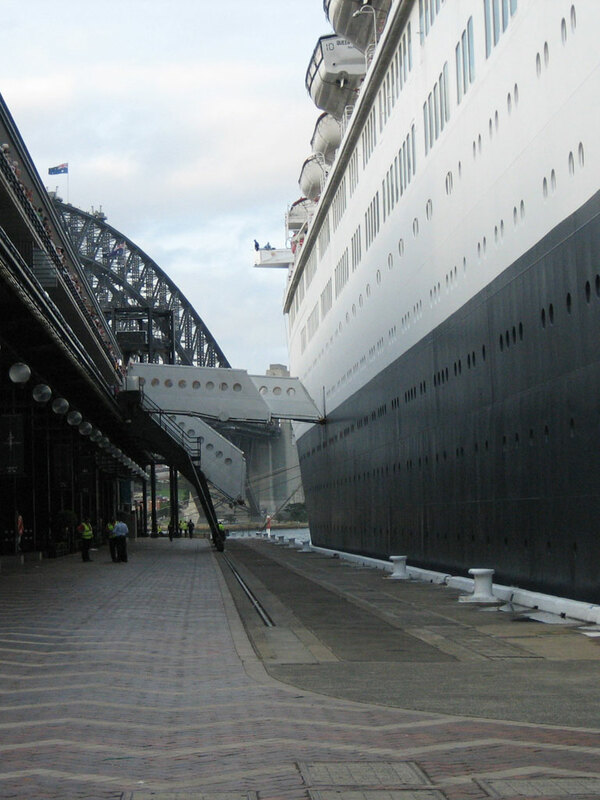 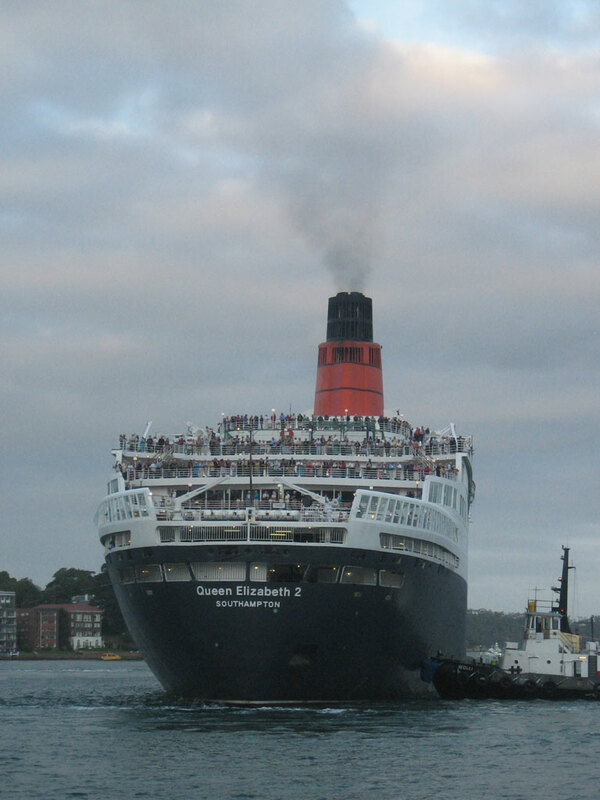 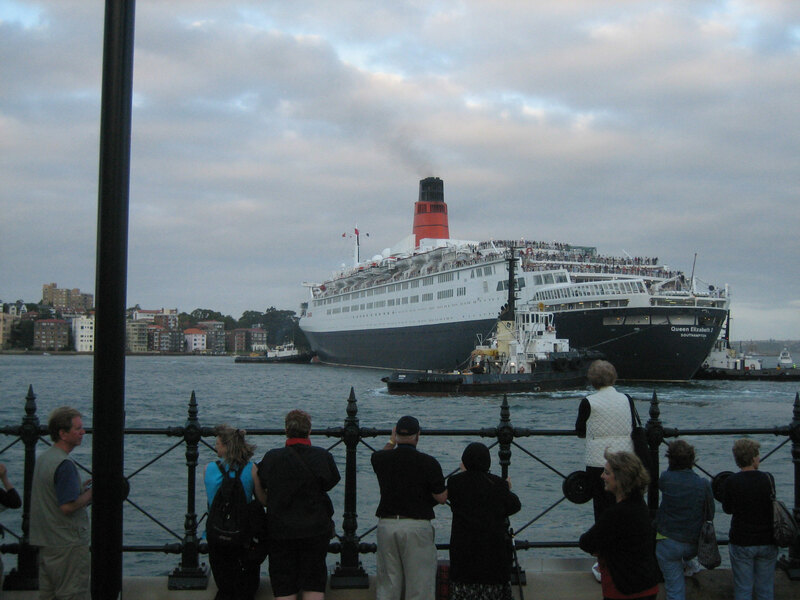 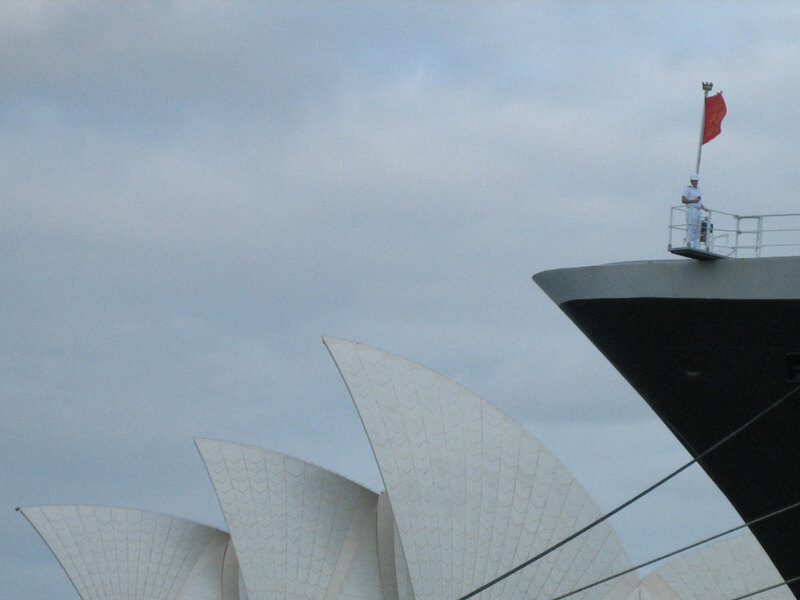 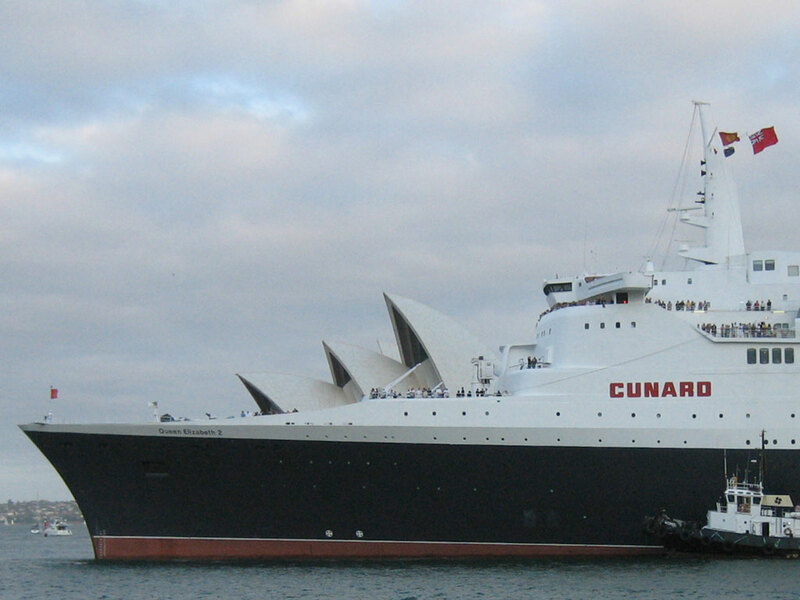 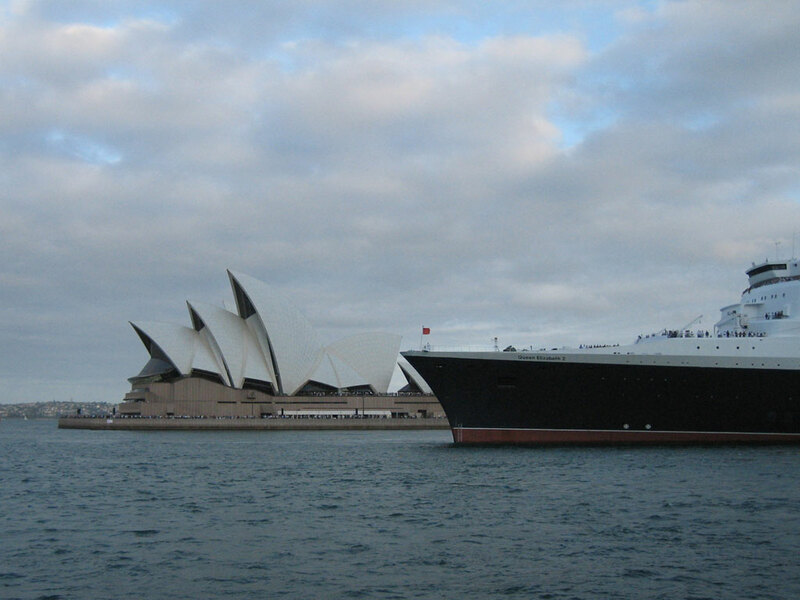 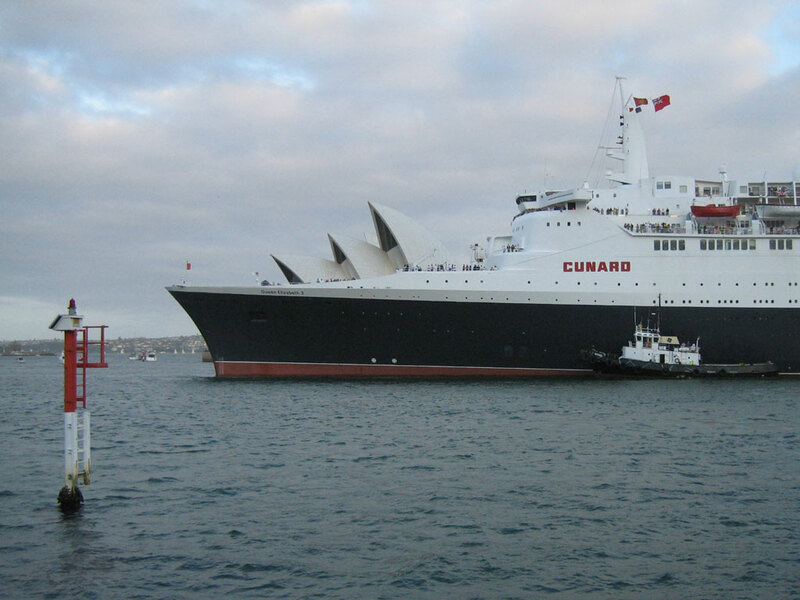 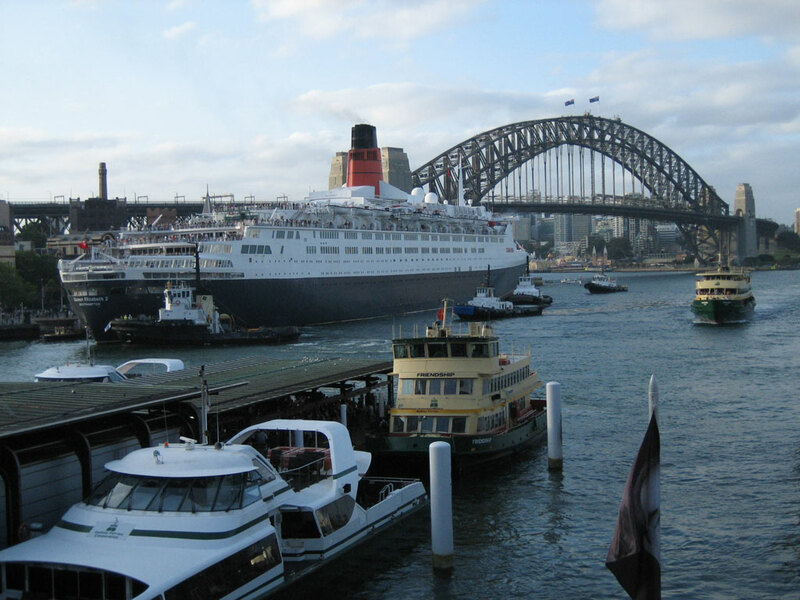 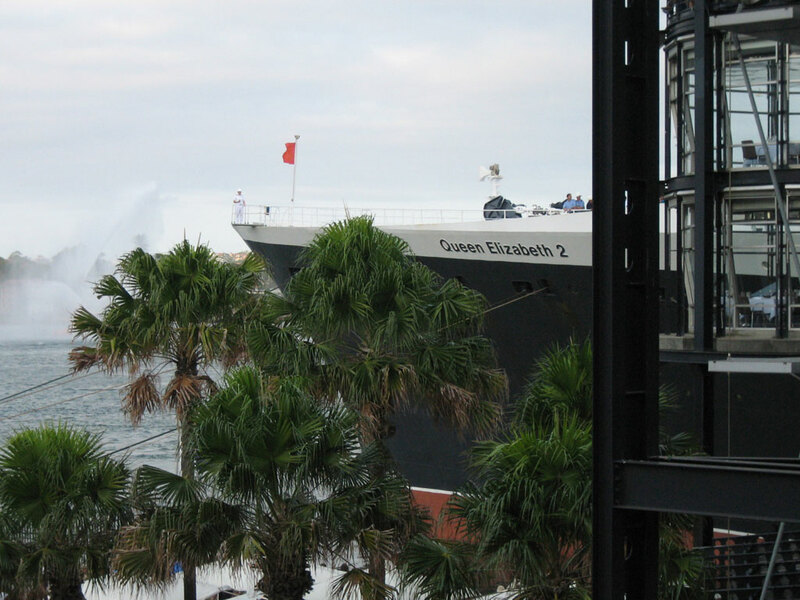 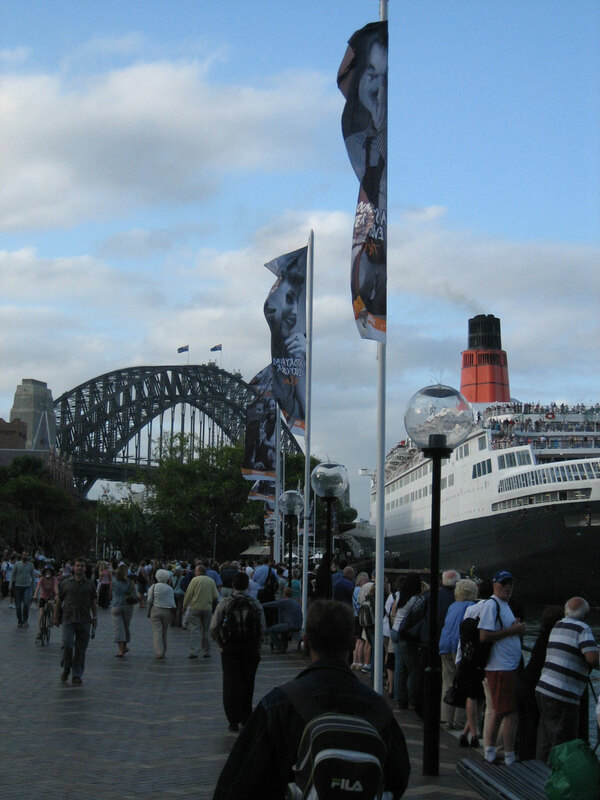 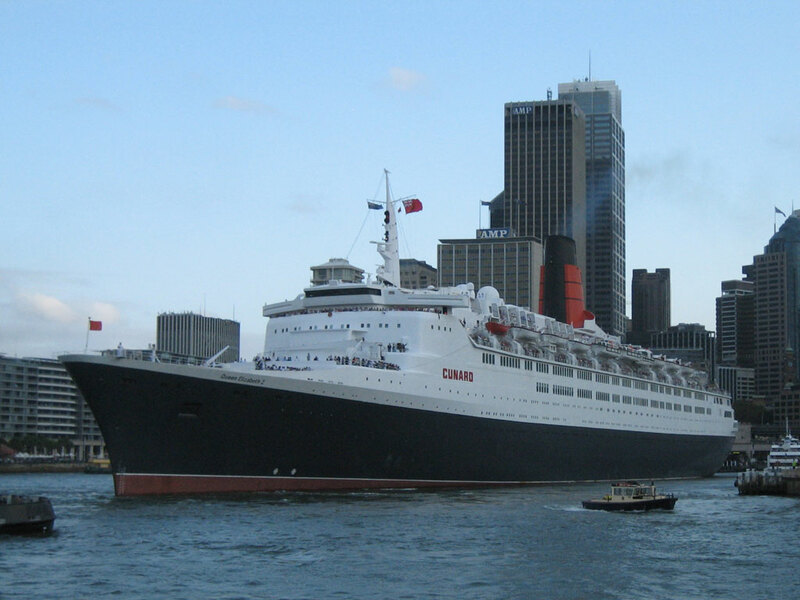 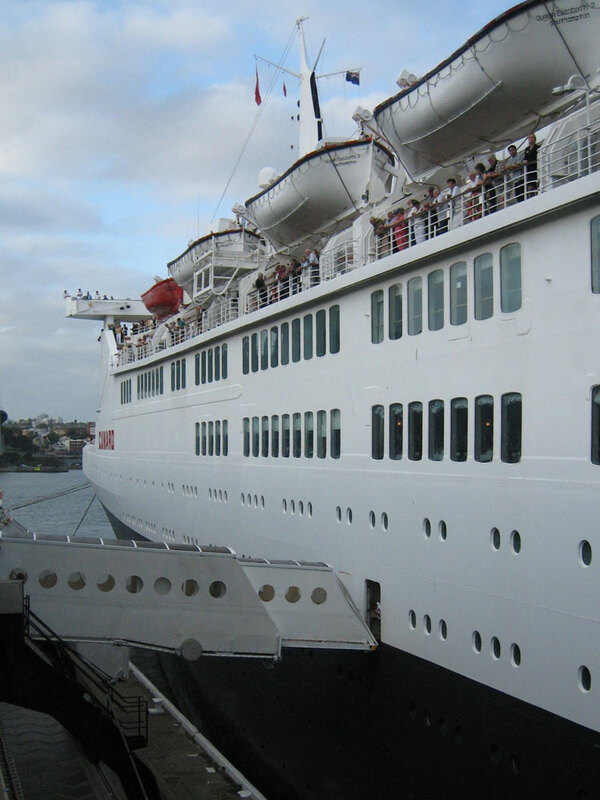 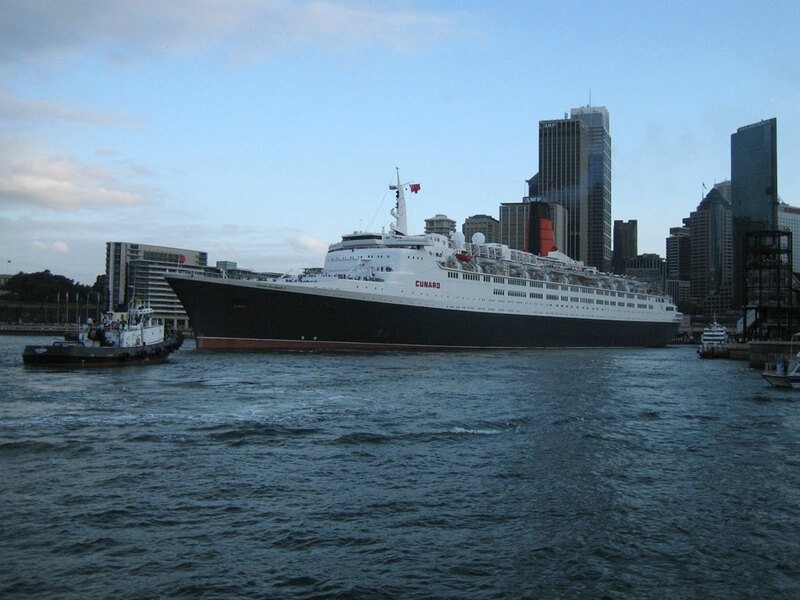 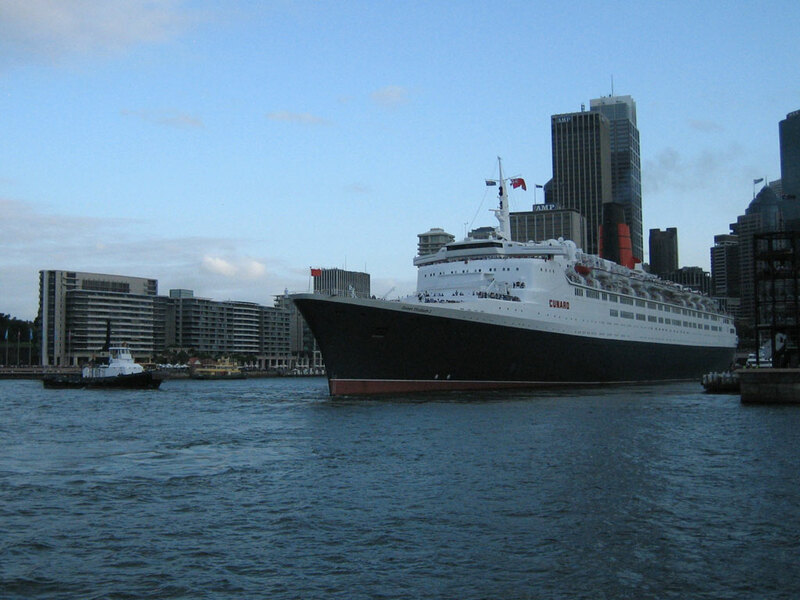 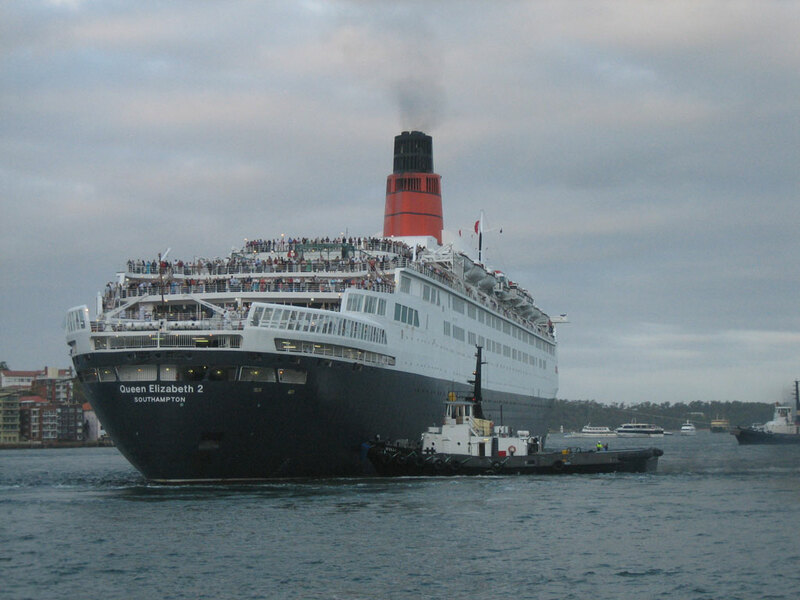 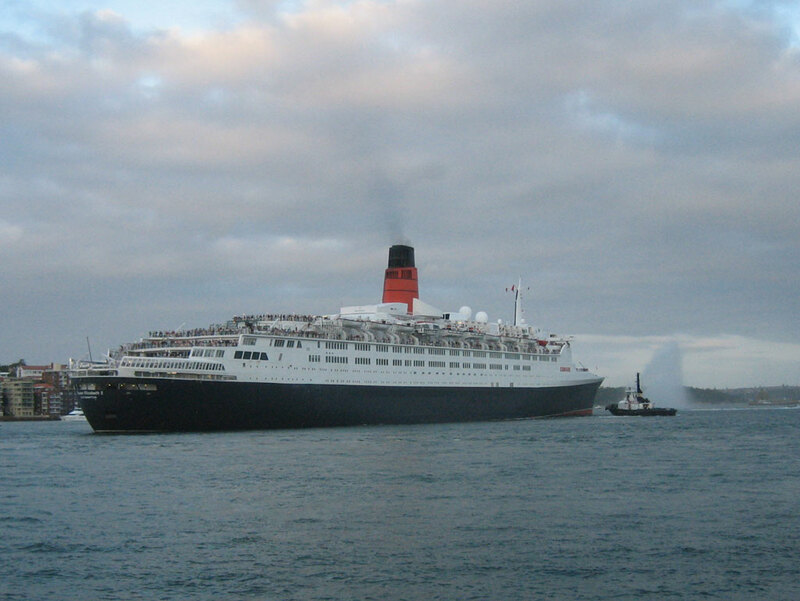 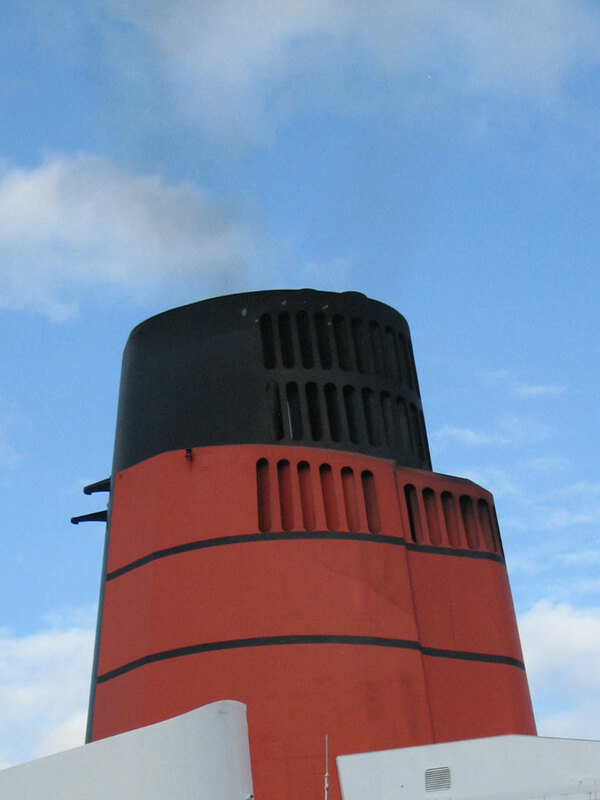 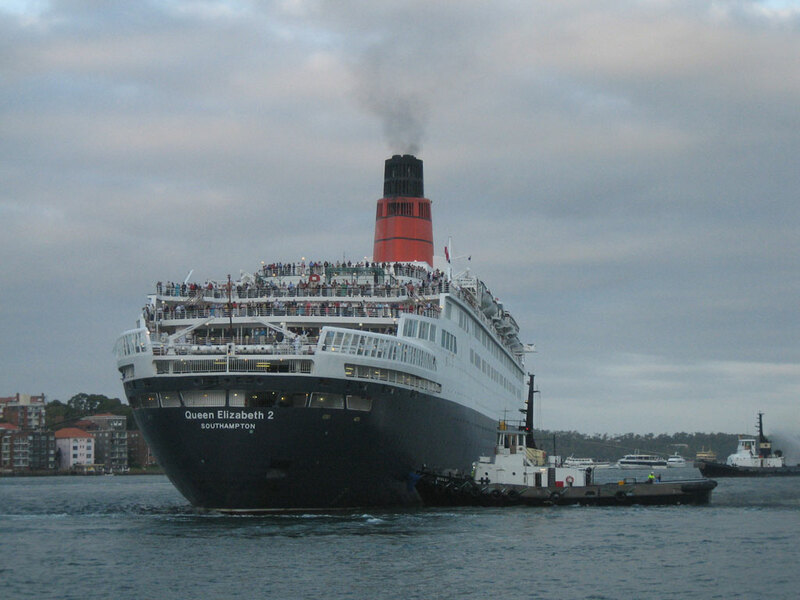 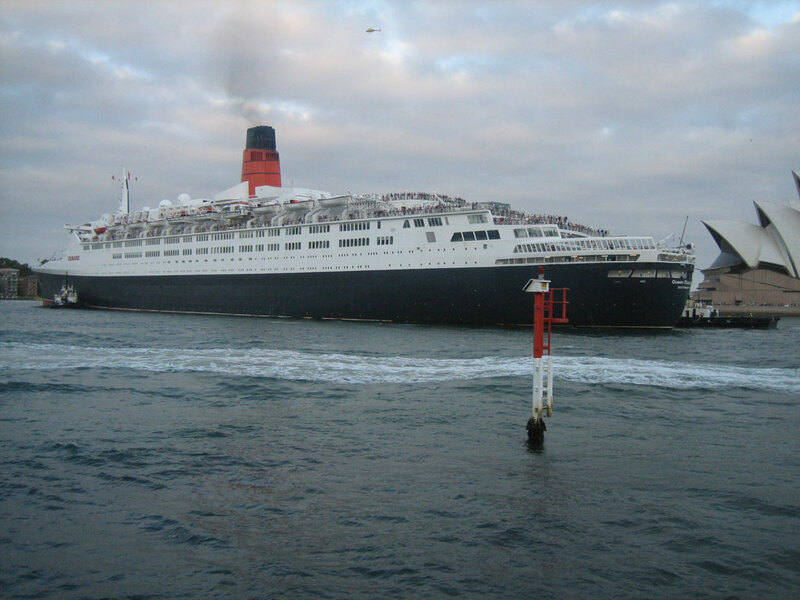 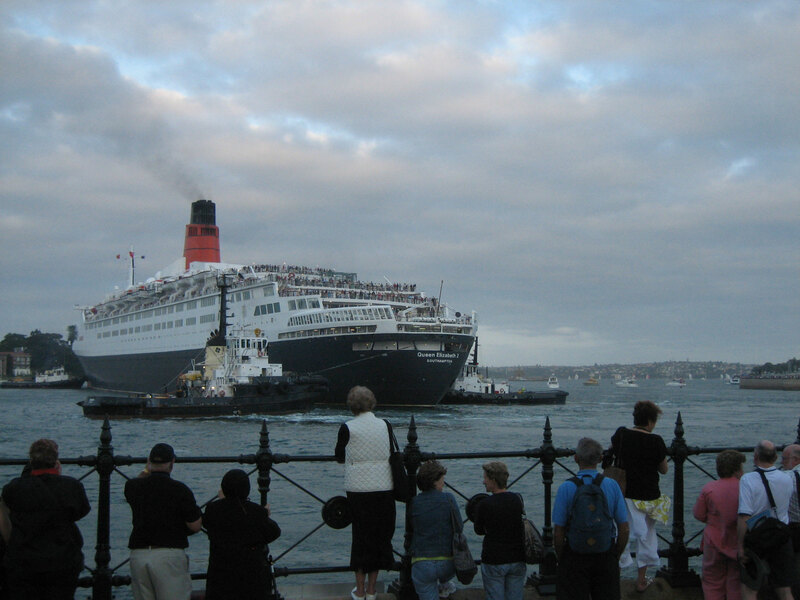 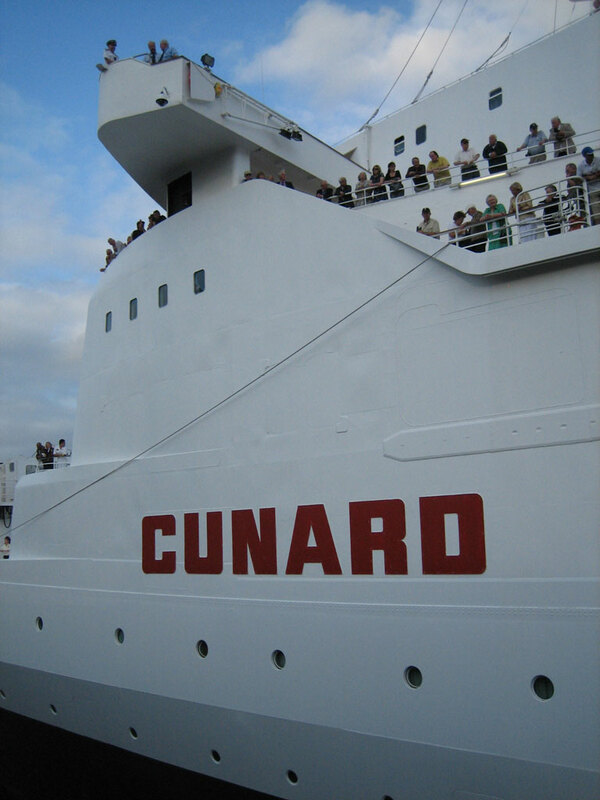 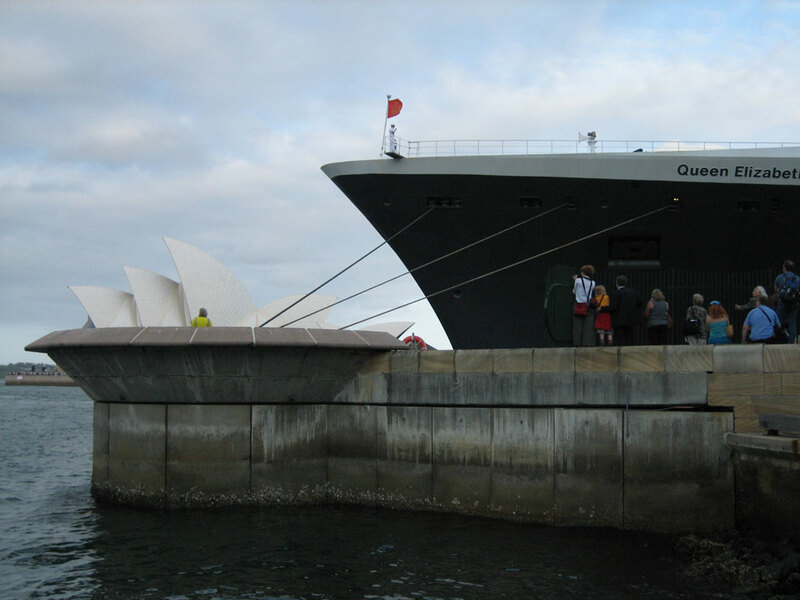 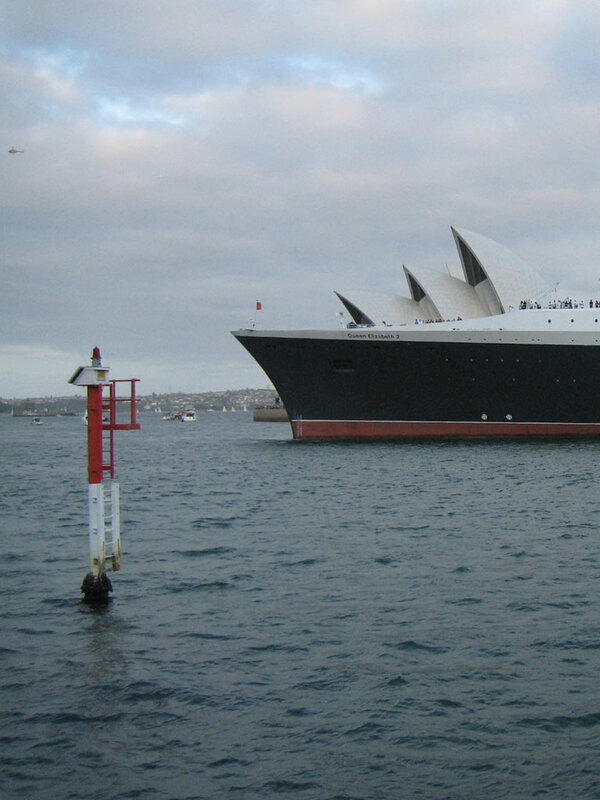 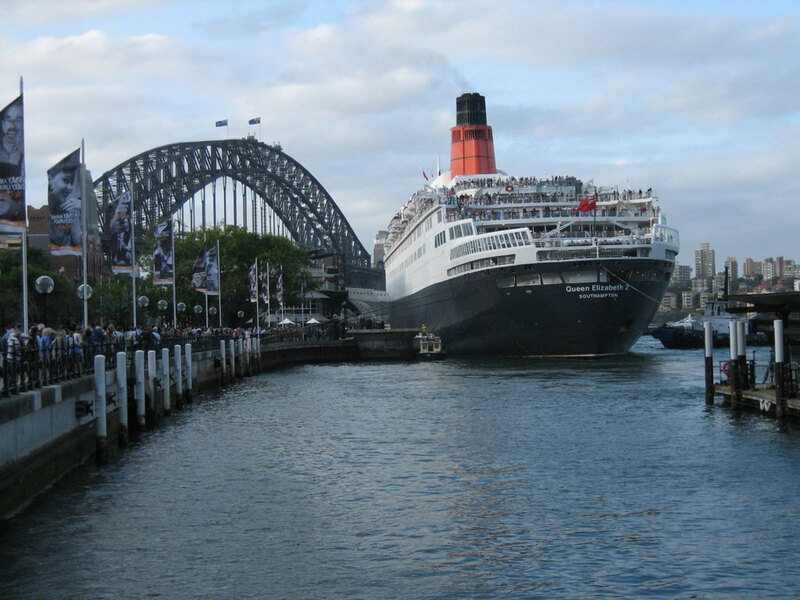 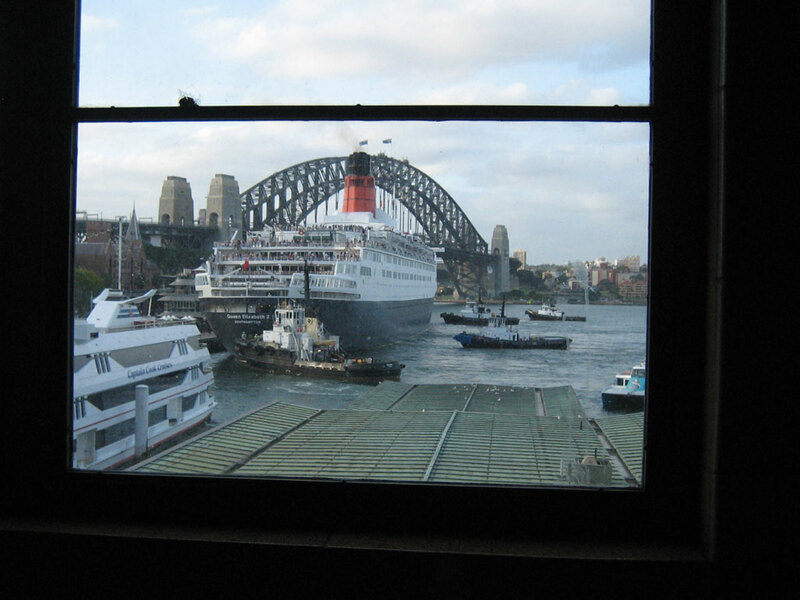 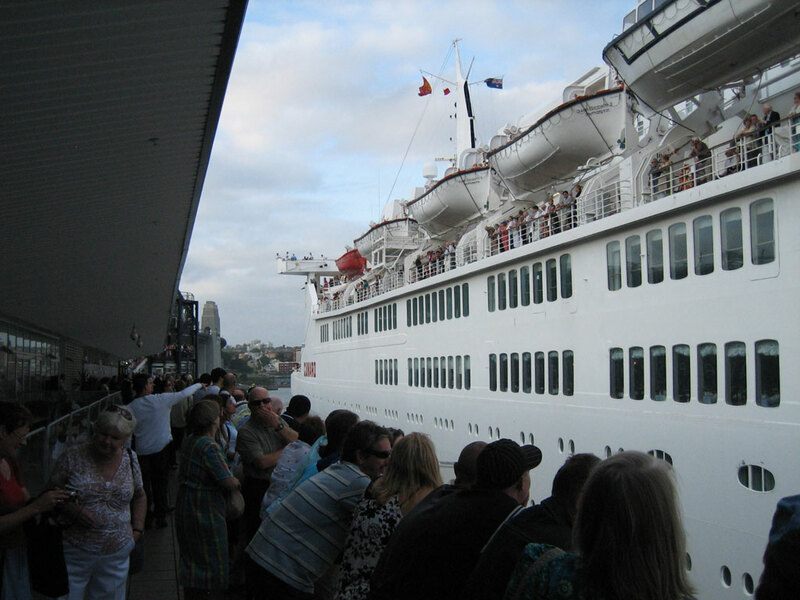 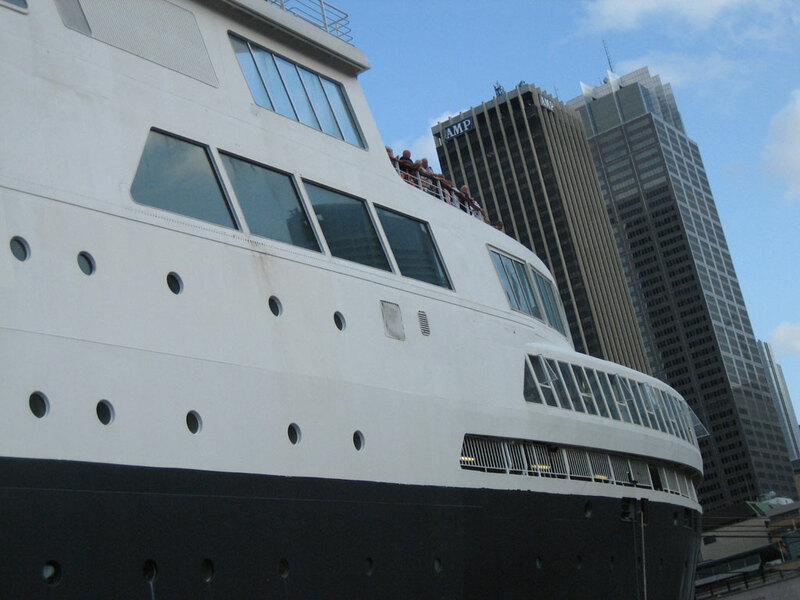 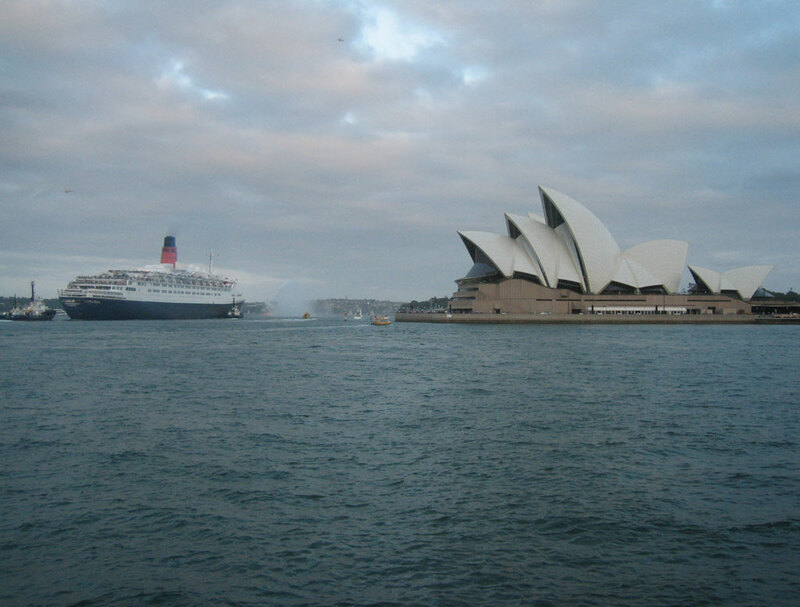 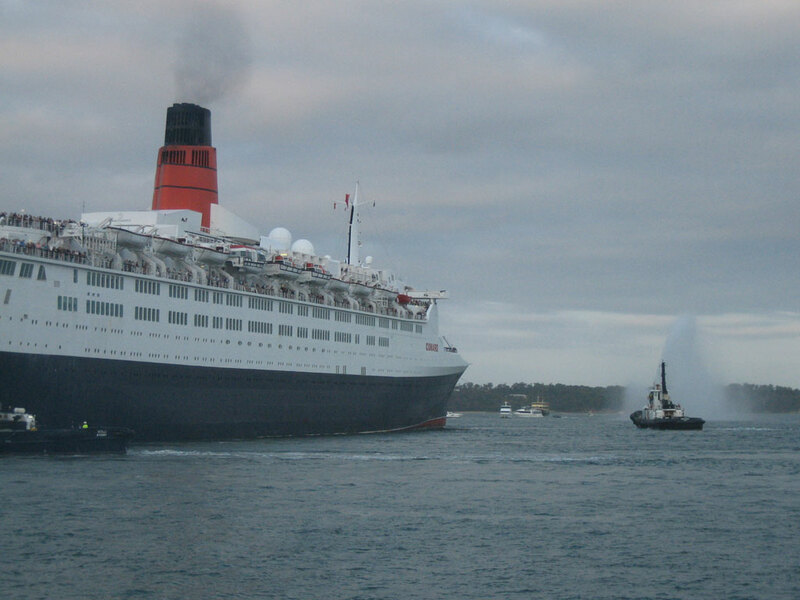 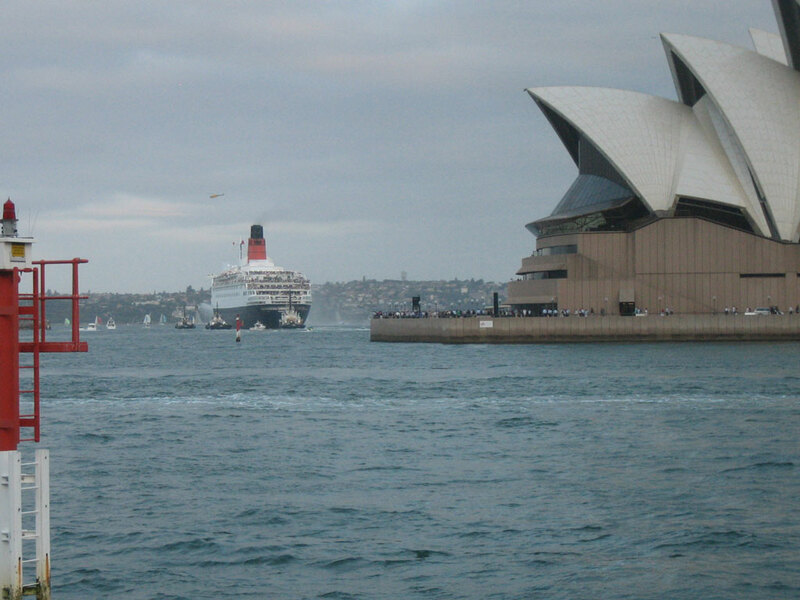 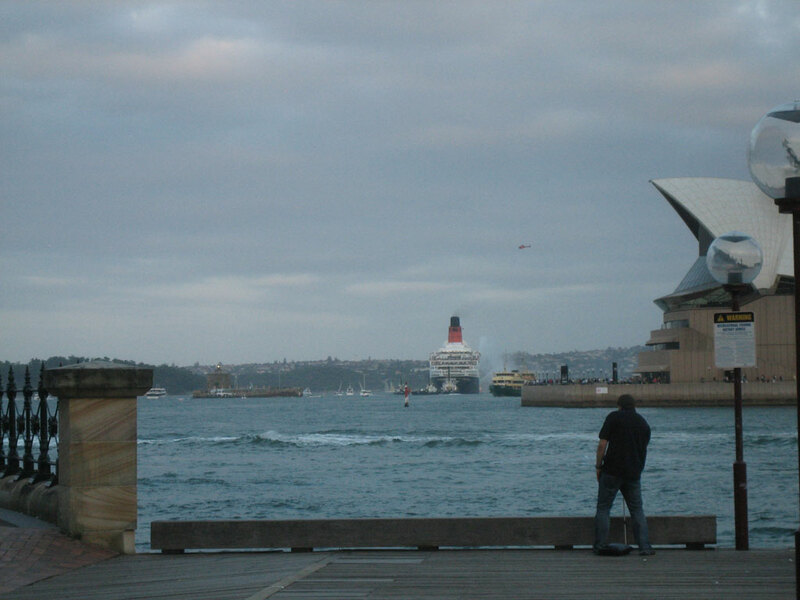 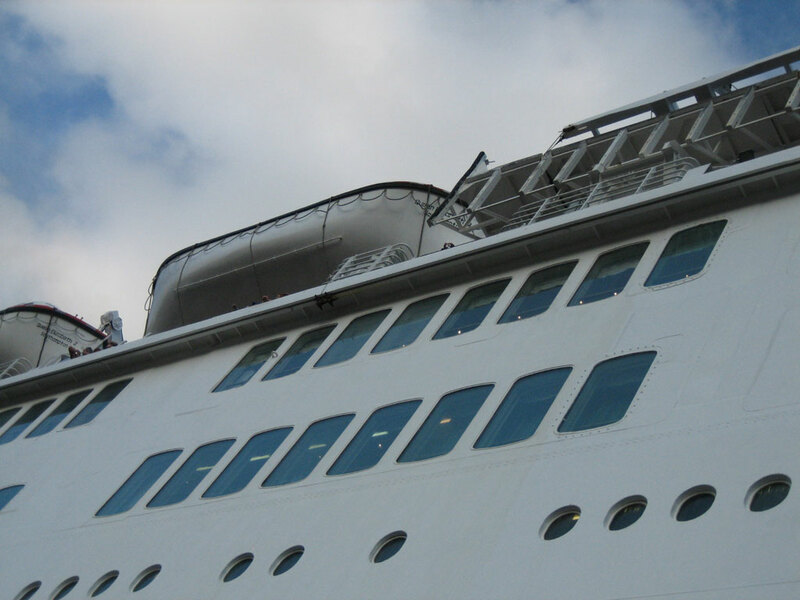 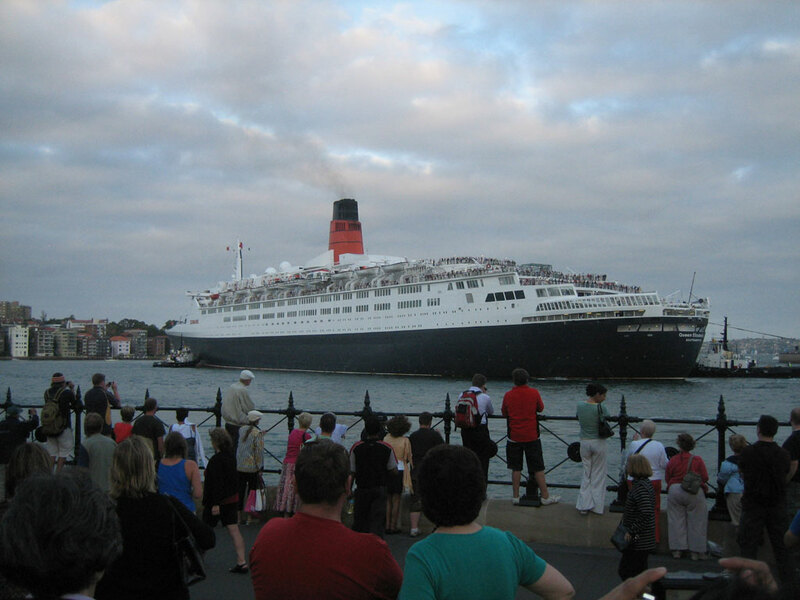 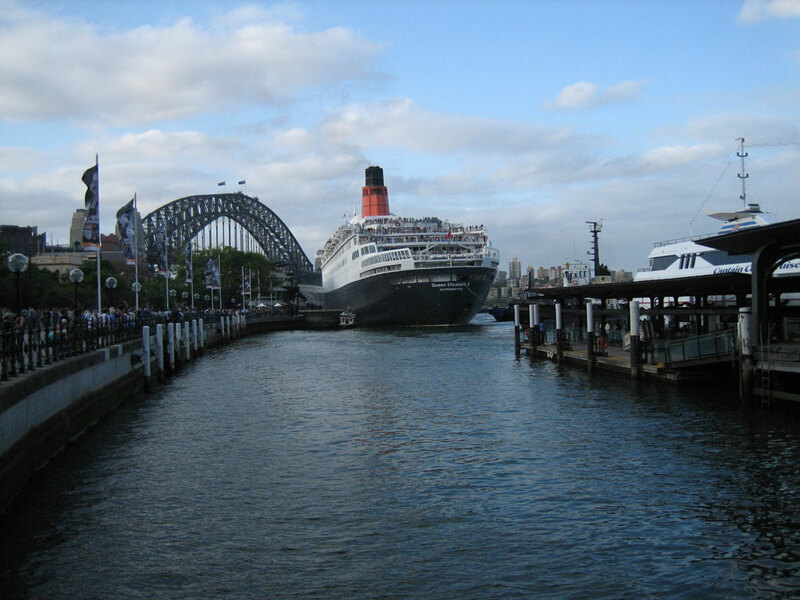 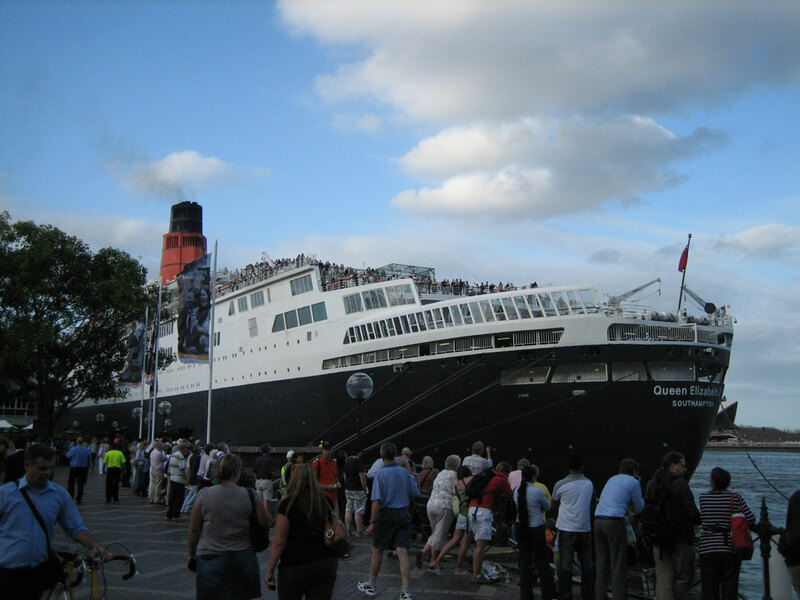 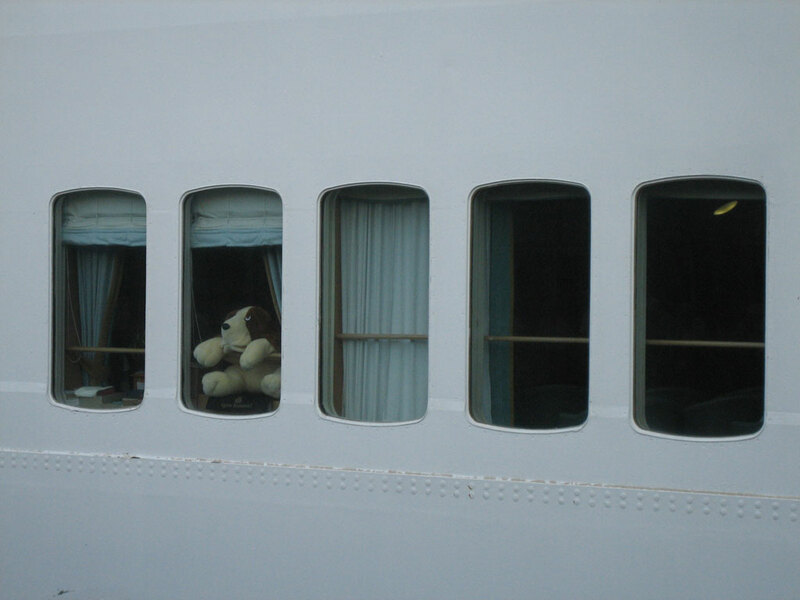 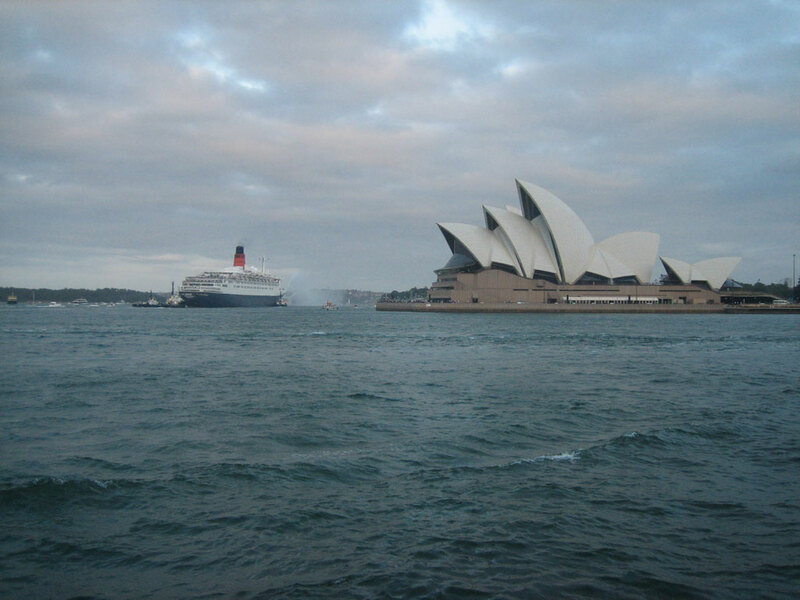 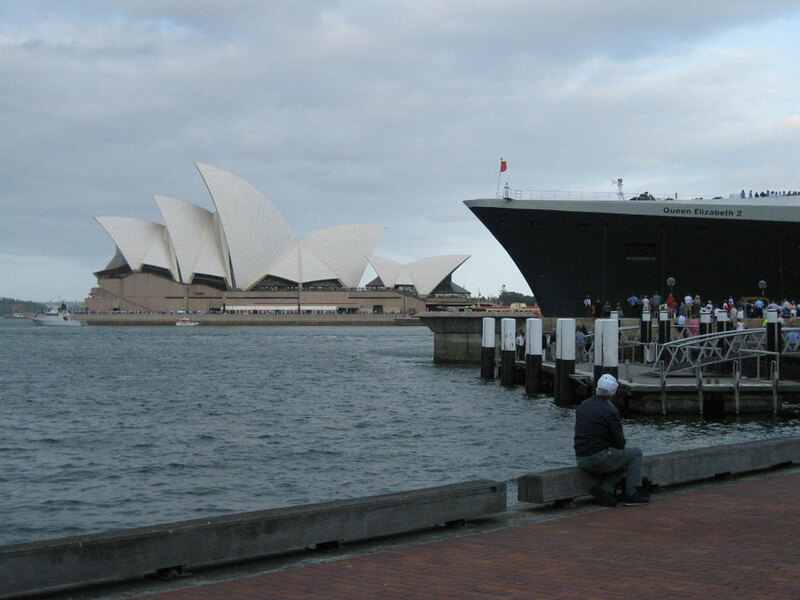 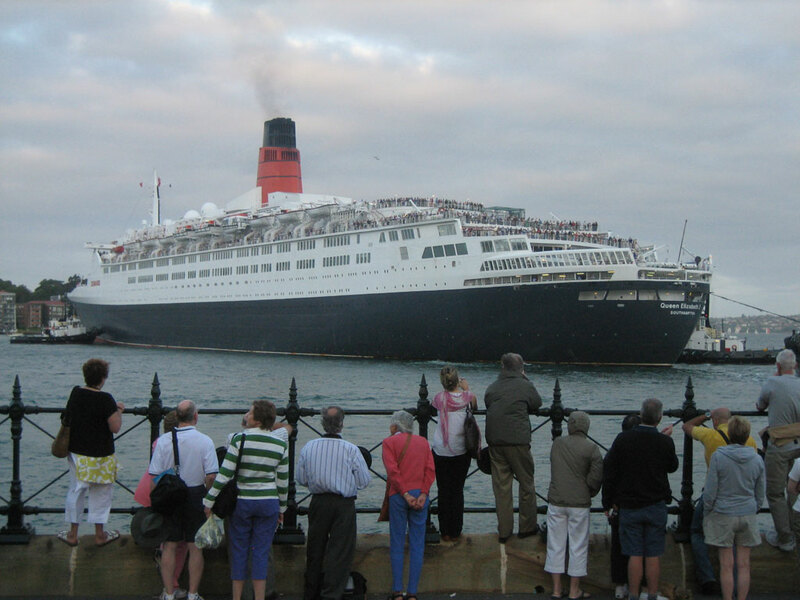 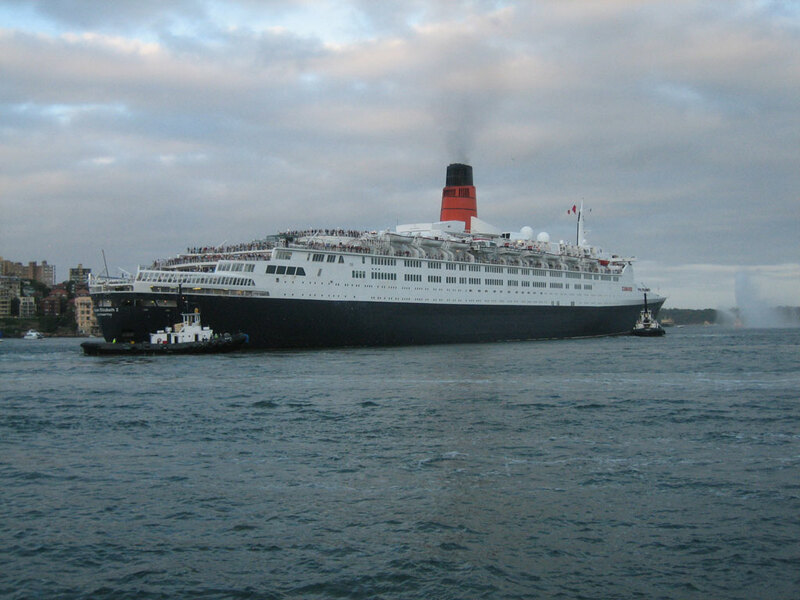 RMS Queen Elizabeth 2 was retired from the Cunard fleet after almost 40 years in service at the end of that year. 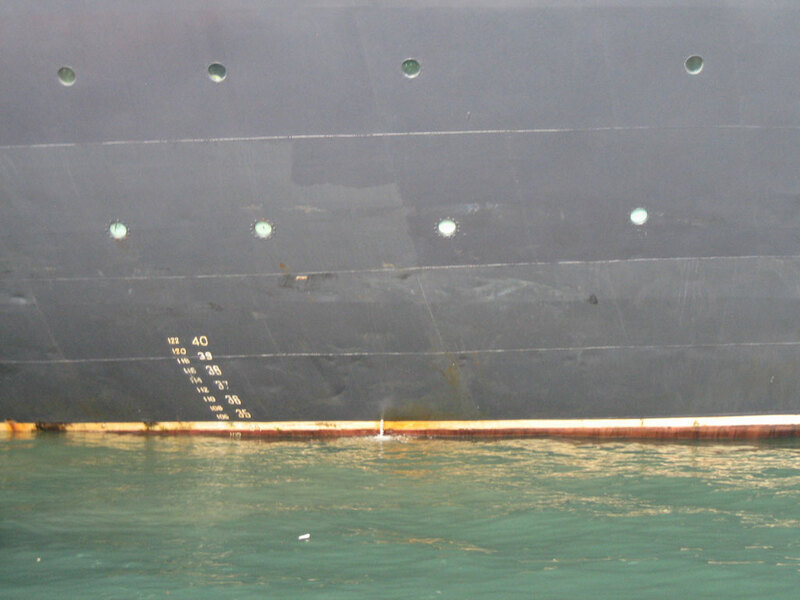 She is now facing an uncertain future laid up in Dubai.